If you have a rental property in Orlando, you know that you have one of the most lucrative businesses around. It is a smart financial investment, but sometimes, problems can occur. All too often, those who have an investment property do not realize that they have responsibilities that go with these assets. Mistakes are a fact of life, but there are some that are genuinely costlier than others. If you manage your own property, even a simple blunder could mean money and time that you need to spend to track down tenants. You could also end up appeasing your clients or worse, facing a lawsuit. The good news is that you can avoid these slip-ups if you are aware of them. Many property managers in Orlando do not succeed because they do not adequately communicate with the landlords or owners and the tenants. They should understand that communication is crucial. Lack of interaction with the owners and tenants can lead to misunderstandings. It can also result in poor rapport and investors can quickly lose the people renting out their properties, which means financial issues. Therefore, it is essential that property managers do their best to be proactive in maintaining their communication channels open. These simple acts can ensure low vacancy rates, renter and client satisfaction, and long-term tenancies. As mentioned above, you have to communicate with your tenants for the relationship to work. However, some property managers or the landlords themselves interact too much. As a result, they form a direct relationship with the tenants. In some aspects, this practice can be quite rewarding, but it can also be a problem for the business. For instance, rent increases can become awkward and therefore difficult to implement. At the end of the day, you should remember that business is business. Your relationship with your tenants should be purely professional and polite. Several investors make the mistake of hiring an ineffective team just to save money. They think it can help increase their profits because they do not spend money on an expensive property management team that has all the credentials for running their condo or apartment. Multifamily properties in Florida require managers with superior knowledge and skills in handling the buildings. It is not just about the amenities and the location, which are both not enough to entice renters to stay. Single family property managers are just as important, so be sure to do your research and hire the right property management company that won't overcharge you and you know will get the job done correctly. Another one of the top property management mistakes that investors make is that they overpay contractors. These people can charge the amount that they choose for the job that they accomplish. If you own a property and you need some repair work to be done, you should get several bids for the project first to ensure you land a fair price. It is never a good idea to settle for the first offer. You should try to get the best value, which you can achieve if you deal with numerous contractors first. If possible, choose the contractor that agrees on an hourly rate, and you should have an arrangement for the cost of materials beforehand. Or, consider hiring a property management company in Orlando that has negotiated rates with contractors that will greatly reduce the amount of money you spend over the long term. In connection with the contractors that you hire, many landlords employ new contractors each time they have a maintenance issue, which is a huge mistake. It is understandable that you want the problem to be fixed as soon as possible at a low rate. You may want to shop around first but if you keep changing the contractor whenever there is a repair task, you will end up with an even bigger problem. While you can save some cash when you look for the most affordable contractor around, the longer you delay the project, the more you have to spend. Additionally, there is the increased risk of accidents, which if they happen, you have to shell out even more money. Aside from all those problems, your tenants will keep complaining as you try to look for the right contractor. In this case, it is a good idea to build a network that you can trust. It should be made up of responsive and dependable contractors that you can call whenever you require repair or maintenance tasks. This technique will help you achieve a more efficient and faster work, while you keep your tenants happy. Properly managing a property is a big challenge and many new investors in Orlando think that all they have to do is to collect the rent. They believe it is as straightforward as advertising the place, gaining tenants, and receiving the monthly rents. However, like many things in life, owning a property and managing it is not simple at all. You have to go through various steps, and they can be costly in both money and time if you do not carry them all out correctly. Some investors work as the property manager on their own, while others hire a professional. Whether you attempt to do it yourself or you go for an expert, you should ensure that you are making the right decision. Ask yourself if you can honestly handle all the work on your own. On the other hand, if you plan to go for a professional property manager, you should also determine whether or not he or she is worth your money and trust. This person should be equipped with the knowledge and skill in controlling and taking care of all the issues and responsibilities in managing a property. A common mistake in managing properties is putting off maintenance and inspections, which should be a routine if you have rental property. Tenants will leave behind damage, which can become excessive over time. When they move out, these problems can cost you a lot of money, time, and also your reputation. Your property will greatly benefit from a regular inspection, which will allow you to identify and repair minor problems before they get worse. It is even advantageous for issues that are about to develop because you can prevent them from happening when you spot them early. Routine inspections will save you money and time in the long run. Additionally, it will keep the renters on their toes, and they will see that you are attentive and responsible. It is vital at this point that you understand you should never let your tenants handle the repairs no matter how minor they may be. They can easily lead to more damages and potential injuries. Property managers have their own methods of screening and vetting the possible renters. It does not really matter how you do it, as long as you are thorough enough. You should have effective screening methodologies in place, so you do not run into problems along the road. You could find yourself facing issues, including tenants who do not pay rent or those who bring pets to buildings that do not accept them, which can later cause property damage. Some tenants can also have dangerous behaviors. You can prevent these problems from happening through taking enough time and money as you complete a background check on the tenants. You should do your best to weed out unqualified renters so you are only left with quality tenants who will stay in your apartment for the long-term. Property managers should know a formal agreement should be in place with the client. It should also involve the leasing arrangements with the tenants. One mistake that property owners in Orlando make is that they neglect to put essential details in writing. If there are damages, you should include photos, along with their timestamps. Proper property management also requires you to collect logs of conversations and the particulars of maintenance requests, including the dates and what they are about. Proper documentation takes extra effort and time, but they can give you legal protection in case such need arises. Many property investors lose in this area because they set the wrong rent levels. It is all about fairness for both the owner and the tenant while considering the market rates. Property managers suggest a nominal increase, but in many cases, it does not apply to the asset. Some properties are unfortunately at least $100 below their appropriate rental value because the investors do not know how to price their property. They should see how the Orlando market is doing and know the real worth of their own property. A professional property manager can aid in this area. All in all, you can remedy the top property management mistakes, especially if you have an expert who will guide you along the way. 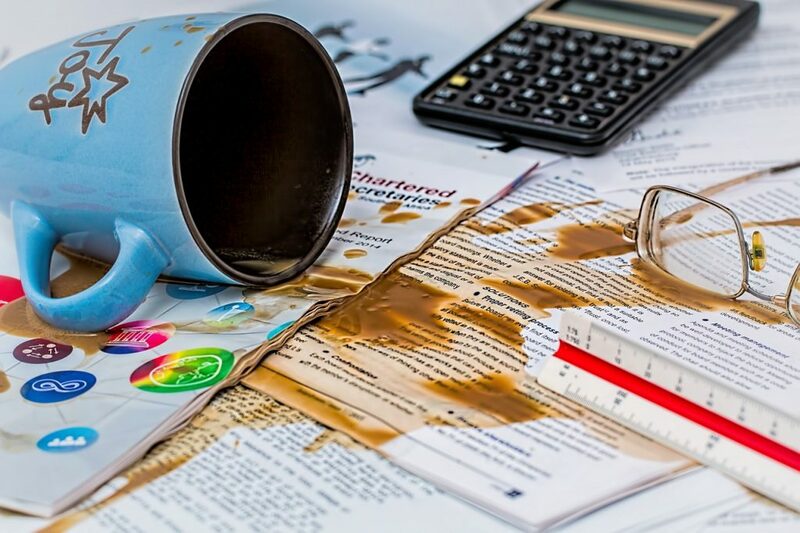 These blunders are easy to avoid if you are willing to put in more effort to embrace some changes and learn from the past issues that others have faced while managing their properties.